Do you manage a captive shop, presort operation or mailroom? Would you like to expand into flats processing, but the volume doesn’t justify the purchase? Would you like to grow your letter-sorting capability, while incorporating flats processing into your operation? Fluence’s high-speed FlexiSort® sorter efficiently processes flats and letter-class mail, allowing you to grow a flats-sorting operation while increasing your letter-sorting capacity. 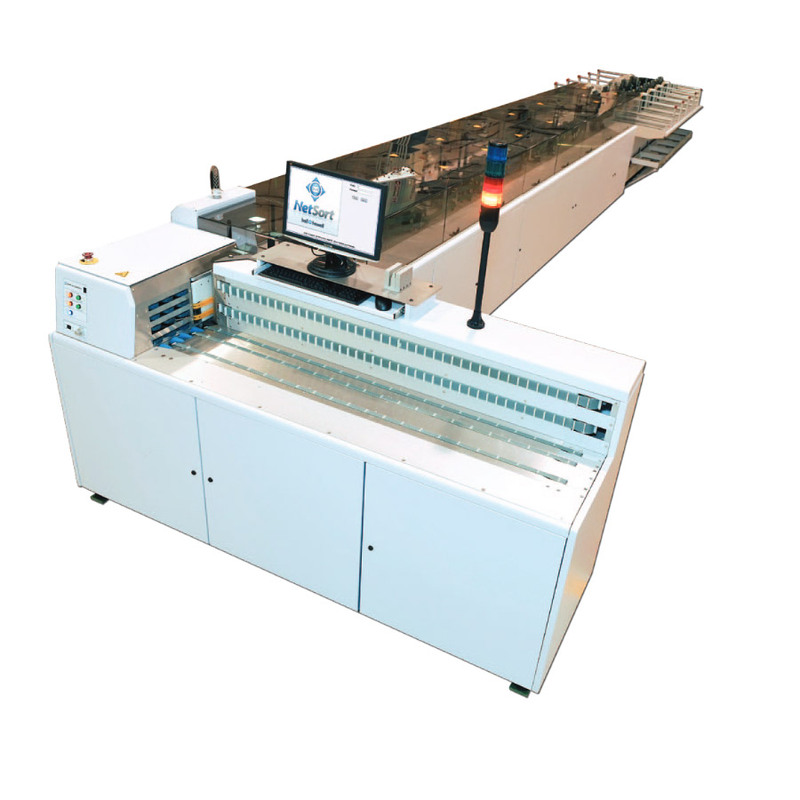 The system employs the latest feeding technology and Fluence’s MMT SABRE® reader to handle flats and letters at the highest throughput rates available. Fluence is an acknowledged leader in flats mail-handling technology. FlexiSort exemplifies that expertise in its flexibility and productivity—for both flats and letters.